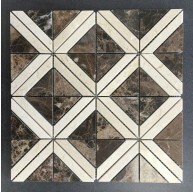 12x12 Linear Pattern White and Mult..
Mojave Almond Random Strip Pattern ..
48" Square Dark Emperador - Crema M..
Emperador Light 2x2 Polished Marble..
Crema Marfil and Dark Emperador Har.. 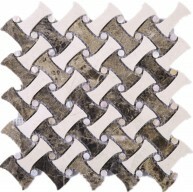 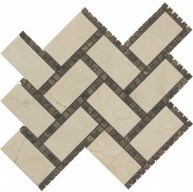 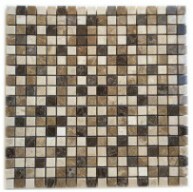 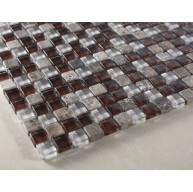 Dark Emperador, Astrone, Portugal G..
1x1 Pelasgus Deity Square Pattern B..
Hexagon Pattern Victoria Blend Hone..
Harlequin Pattern Nantucket Blend P..
Crema Marfil & Dark Emper.. 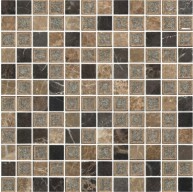 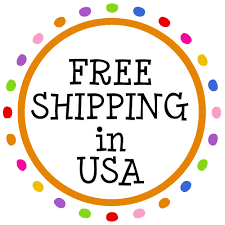 Cream Marfil & Dark Emper..
Crema Marfil and Dark Emp..
You are saving: 29% on this item. 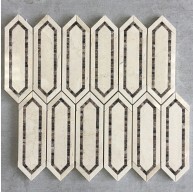 Emperador Marble Stick and Peel Splitface Mosaic Tiles Made from the highest quality premium marble Strictly selected; consistent in color, sizing and finish Larger quantities are readily available in full pallets and containers. 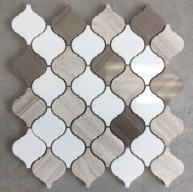 Suitable for commercial and residential projects (Interior as well as exterior surface covering applications) Meets your needs at a very low cost.